This entry was posted in miscellaneous, giveaway and tagged Giveaway Day, La Horde du Contrevent by lholy. Bookmark the permalink. Wow! Thank you so much! 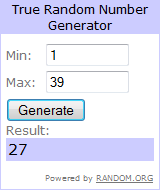 I’m happy that the random number generator picked me! I loved reading the happy story of your trip to the store with your dad, and coming home with all of those books! We have an old book here, that is entirely in French. I have no clue what it is about. Maybe when I retire I will have time to study it and find out. Thank you for the lovely book cover!